 DC&Co is a design studio founded on passion, focus, and service. Our passion lies in our mission to explore the transformative power of design and how it simplifies and inspires our world every day. We focus on the needs of our clients and their brand to ensure that each creative execution is a collaborative journey that we embark on together. We strive to bring pleasant, engaging, and responsive service to all of our clients. Old 90's Skateboarder, hiker, comic reader and avid snowboarder. Name: Email address: How may we help you? DC&Co will get back to you very soon! Copyright © 2019 DC&Co LLC.